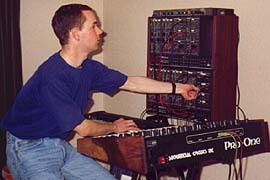 Under the Dome features Grant Middleton and Colin Anderson on assorted synthesizers and guitars. 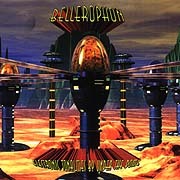 The duo are based in Scotland and have appeared on several CD anthologies and released two acclaimed full-length studio albums: The Demon Haunted World (1998) and Bellerophon (2002) as well as Wot No Colin? ; a live album which was released at their 13 September 2003 concert in Philadelphia. Their music, "deftly alternates between silky smooth quiet passages and upbeat sequencer brilliance." and has been described as having, "superb and dynamic melodies backed by spectacular digital synth sweeps with sparse but welcome guitar work...". Showing their Berlin-School influences, their moody realizations are, "dramatic, with pounding synths and sequencers on some tracks and reflective, almost ambient settings on others". 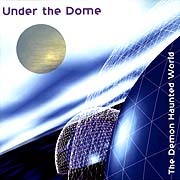 Outside the studio, Under the Dome has proven their abilities having performed live at several noted British Electronic Music series, including those held at the National Space Center, Jodrell Bank Planetarium and at the "Hampshire Jam" festivals. 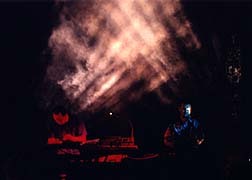 Their live work culminated in the Fall of 2003 in Philadelphia at their state-side concert debut at The Gatherings Concert Series on 13 September 2003. 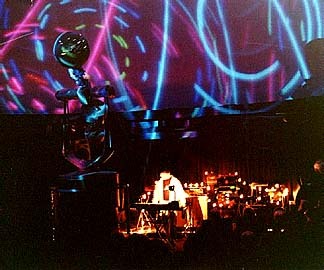 Following the concert, Under the Dome moved their music-making gear up to STAR'S END Ambient Radio for a live on-air in-studio radio concert. 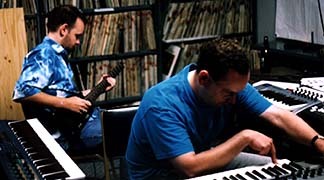 The duo realized two one hour sets of original ambient spacemsic specifically designed for this broadcast of STAR'S END. 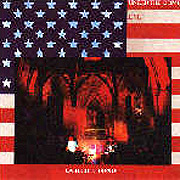 Upon the duo's return home, Over the Pond, a recording of this radio concert, was released. Being "under the dome" is more commonly understood in counter culture circles as the mysterious feeling of being transported into another reality far underground beneath a huge weight. Here, Grant Middleton explains how he interprets this phrase and made it his own musical persona as Under the Dome. 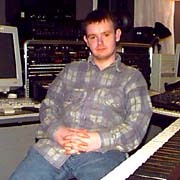 11 March 2000 Throughout his many profound "eyes-closed" Electronic Spacemusic listening experiences, "the sounds seem to take on an almost solid, tangible quality, visualized as a kind of firmament existing in space. But it seems however, that there is a finite boundary beyond which these sounds cannot exist. If you imagine this boundary as a radius, beginning at the listener's head and radiating out in three dimensions, it's easy to visualize a hovering hemispherical shape - which ostensibly places the listener, under the dome". The common thread linking Under the Dome to their contemporaries is their devotion to the Berlin-School of '70's spacemusic. This duo's performance clearly demonstrates that while these "Children of the Cosmos" are reacting to silmilar influences, Under the Dome brings something distinctive to the stage, realizing music as well-differentiated from their contemporaries as it is from the original influences. Grant Middleton, one of the artists behind UtD (Colin Anderson completes the duo), described his influences in a recent interview as "...the usual suspects...". If 70's Tangerine Dream and Jean Michel Jarre are your suspects then this is an album you simply must check out. The opener "Flussuger Vier-Takter" opens with a ticking clock closely followed by an acoustic guitar/piano section. This proves a brief lull before the storm however, which engulfs the scene in the form of a wall of classic analog sequencing. Insistent synth themes pursue the sequential trail which gathers momentum as it charts its relentless path. It's classic EM in every sense and those in tune with this style will by now be settling back confident in the knowledge that this is an album which will enjoy many hours basking under their CD's laser. The sequences fade to herald a return to piano themes. "The Aeon's Day" opens with dense pads and well placed effects which thin out at 3 minutes to usher in the sequence. Yet again its a superbly constructed rhythm embellished by bright synth themes which form an unlikely but hugely effective partnership with the moodier sequences. Another pleasing aspect is the subtle way emphasis switches between the sequences and synth lines, underlined at the 9 minute mark as the pulsations mutate and settle into a holding pattern allowing the lead lines to undergo a complimentary shift. At 15 mins the sequences fade leaving beautiful and poignant flute refrains to build anticipation again. That anticipation is duly rewarded in the shape of an explosive sequence which crashes onto the scene and transcends the piece to even greater heights. The supplemental patterns are also a joy to behold and the thematics are tremendous. Perhaps the highlight of the album. "The Bridge" opens with atmospherics and then optimistic refrains which hint at sections of "Rubycon". At 6 minutes the sequential wall hits home and again it's another blistering section. Discordant synth-guitar style textures portray a harder edge and contrast well with previous sections providing balance and variety, and the overall result brings to mind TD in "Pergamon Part 2" form. Finally "Hell"and at a touch under 24 minutes this is a substantial track in every respect. Surging synth pads open proceedings and a variety of motifs add detail before the touch paper is lit at the 7 minute mark. Sequencing is undoubtedly a strong feature of this album and the expert construction here does nothing to diminish that statement. Synth themes ebb and flow as different elements are introduced to ensure momentum is maintained. At 15 mins the sequences fade to be replaced by a collection of the choicest cameo roles - I picked up shades of Floyd's "Shine On You Crazy Diamond Pt 2" and Vangelis' "Spiral" - before sequencing is reintroduced to bring the track to a close in fine style. This is a marvellous debut album in every sense and a must for collectors of quality EM. Deep analogue sounds abound on "Liquid Sky". Even though atmospheric, it literally fizzes with pent up energy. Solar winds blow through the ether. The scene is set for "Launch" - a sequencer driven stormer. And what sequences! A bass laden one thunders forth while a bubbly melodic one bounces over the top at 100 miles an hour. It's a track which works on every level, even the lead line is sensational. We are now in space, "Drift" taking us on a beautiful relaxing journey through the cosmos. Darker drones take over on "The Long Rain". A little melodic tinkling sequence starts up as do yet more deep bass pulsations which make the floor shake. The tension is incredible but the pace sedate. I constantly expected things to explode but the awesome energy is kept on a tight leash. Vast pads swell like a wave swamping the sequences before they spontaneously combust. We finish on a more tranquil footing. Swirling atmospherics dominate the short "Sun Dome" acting like a bridge to the melodically beautiful 'Return'. A rapid 'sequence', sounding like a lead line in its own right pulls at the heartstrings as does the stunning main melody. The sounds swell becoming rather euphoric before fading away to silence out of which the deepest and most awesome bass sequence emerges- could this have been responsible for the recent earthquakes in Manchester? More majestic lead lines are then brought in and I found myself pumping up the volume. Calmness returns for "Nightfall". Soft pads are punctuated by water droplet piano notes. More bass rumbles get 'Event Horizon' underway. It's like feeling the aftershock of some cosmic detonation. A massive wave of sound hits then slowly fades into the distance. Another bass sequence starts up then descends to almost below hearing though you will still feel its power. It momentarily disappears only to return with added vigour accompanied by yet another sequence just as uncompromising as the first. This track oozes malevolent power more than any other I have heard - it's quite an experience and not for the faint hearted but boy is it exciting! "C-57D" is again melodic. This time it's an electric guitar which creates the melody. Another fantastic sequence joins the game and the lead is taken over by conventional synth. The sound chosen is exquisite overflowing with power but also emotion as it builds to epic proportions. It's really something of an anthem which is sure to be the highlight of every live performance they do from now on. 'Atair IV' swirls with sci fi type effects as if a spacecraft is landing followed by sounds of a strange planet. You can easily imagine the scene on the front cover. We finish with another sequencer romp "Solar Gravity". Actually on much of this album to call what you hear as sequences is so inadequate. It's as if Under the Dome are literally able to control thunder putting devastating power into every note, shifting it this way and that, obeying their every whim. As for the lead line- it's another corker. There isn't one meandering moment on the album. Each lead is exquisitely constructed, scorching, menacing or even very occasionally tender. It's as if the Gods themselves are hurtling bolts of pure energy. Inevitably the CD finishes with a massive explosion as the album goes super nova. This is a stunning album. It contains those trademark UtD style sequences as found on their first but it also shows a great deal of maturity, light and shade if you like. Equal attention is paid to the atmospheres and textures which balance the stormers. 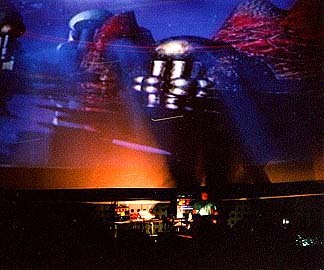 It also comes over as something of a concept album, right down to the early sci fi imagery of the artwork (think of Forbidden Planet). To get the most out of this album when you first get it keep it on constant rotation, playing it time after time- if your woofers are up to it that is. There is greater depth to the sound here than I have ever heard before.